Are you in the market for a Kyocera copier but find that purchasing a new machine is slightly out of your price range? Well, at Fortworth Copier we offer a variety of used Kyocera copiers that will exceed all of your needs, without breaking the bank. While many people are hesitant about buying a used copier, the reality is that it is usually a smart purchase that can save your business hundreds of dollars. Most used copiers are still in very good condition upon return because other businesses have been leasing and taking care of their machines for years. All our Kyocera copiers are still in top quality condition and our certified technicians make sure that they will continue to do all the jobs you need it to do. Don’t expect to pick up the problems that someone else didn’t fix, because we have already done all the work for you. All our used copiers come with a 90-day return guarantee, because we are dedicated to making sure you are satisfied with you purchase. With Fortworth Copier you won’t be stuck with a lemon, because if there is a problem with your used Kyocera Copier we will do whatever it takes to make it right. 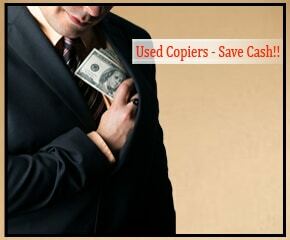 Don’t be tricked by other copier dealers into spending too much on something you do not need. We won’t push towards copiers you don’t need because we are dedicated to your satisfaction. We can help you feel good about your purchase and take the worry out of buying a used machine. Our used Kyocera copiers are always available and our representatives at Fortworth copy are here to help you get started with your purchase.